SP Engineering brought two R35 GT-R's out to a private track rental in Las Vegas. 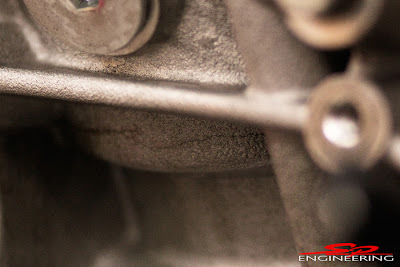 On May 7th, they took these two 1200+hp, 1050 ft-lb monsters out to see if they could reach the 8 second milestone. However, they did unveil a few issues that they are going to be working on. They had a split in the block that sprayed coolant and ended the day. They had a string of passes in the low 9 second range at around 160 mph. The 8 second barrier seems to be putting up a fight, first with AMS suffering an engine failure, and now SP Engineering. Head over to the Lambo Power forum for the full post, pictures, and a little smack talking from one of Switzer customers. 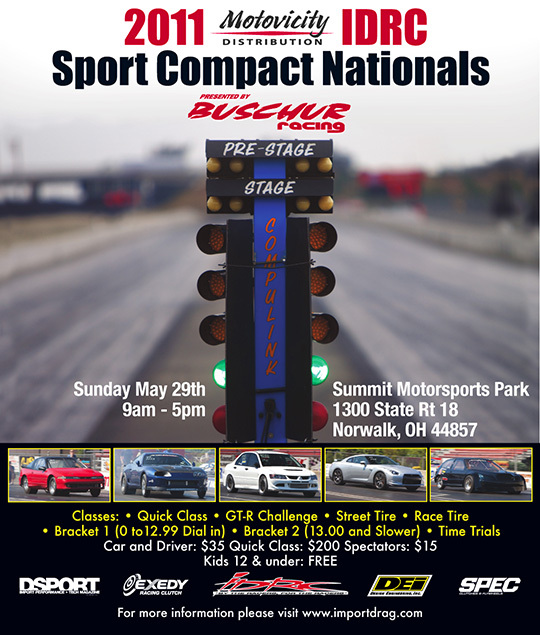 This weekend in Ohio, there is an IDRC event at Norwalk, and according to Switzer, they expect to have several cars at the event. Perhaps this weekend could be the weekend for the 8 second barrier to fall?